Reverse Guilty Plea is a story about an unusual family feud based on petty differences which led to the wrongful incarceration of one of its own causing turmoil behind the curtains of the Wilson family home. The protagonists Charles tried to do the right thing, but his intentions did not serve him well. On the other hand, the villain, his younger/only sister Aubrey, got away with grand theft, and became the sole beneficiary of the family estate. Rising crime rates have led to a lack of efficiency in the U.S. judicial system which endangers its proper functioning. The flawed system is a problem for ordinary Americans because, like Charles, they or their love ones can inevitably become victims of it. As Charles learned, public defenders often encourage defendants to plead guilty, but I suggest fighting to clear one’s record because a criminal record can limit one’s ability to earn a living wage, or worse – disenfranchise them. This book explains some important issues. Number one, Mississippi’s practice of purging felons from the voting roll has been a concern of mine for decades. Reverse Guilty Plea is a must read, and a constant reminder of the lengths that some families will go to keep their dirty deeds hidden, even if it means betraying one of their own. Reverse Guilty Plea is a very informative and entertaining novella that exposes readers to an ugly and fierce family feud which pits a father against his son to protect his daughter and perhaps his own business reputation. Meredith Coleman McGee, Author, Odyssey, James Meredith: Warrior and the America that created him; coauthor of Married to Sin, and Casada al Pecado. 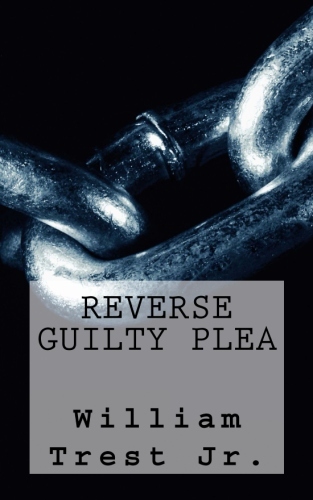 Reverse Guilty Plea AUDIO BOOK $6.34 – 59 minutes. Read by William E. McGee III. https://www.paypal.com/cgi-bin/webscr?cmd=_s-xclick&hosted_button_id=JRRDKAALEMRV2 $6.34 we will email the MP3 file or mail a CD. All the best to you William. I read “Reverse Guilty Plea” during the commercial breaks after the 5 pm news this evening. It was a quick read. The main character, Charles, was caring, stubborn, and gullible. He underestimated his sister. She was the most powerful member of their family. In the end, evil triumphed over good. But, I appreciate the fact that Charles reconciled his friendship with Sara, accepted her husband Perry, admitted his errors, and decided to use his tragic experience as a teachable moment which makes him a big person, which in another sense redeems him because others will learn a big lesson from his story. Thanks for your insightful and heartfelt comments about our flawed justice system and overworked public defenders. In some cities, more than 50 percent of young African-American men are under such supervision. A large number of prison inmates are African-Americans. Twelve percent of all African-American men in their 20s are incarcerated. More than a third of the 4.7 million disenfranchised felons are African-Americans. In four of the states with lifetime bans for felons, a quarter (Virginia, Iowa) and a third (Florida, Alabama) of all black men are ineligible to vote. Hawaii, Ill., Ind., Mass., Mich., Mont., N.H., N.D., Ohio, Ore., Pa., R.I., Utah, District of Columbia. Calif., Colo., Conn., N.Y., S.D. Alaska, Ark., Ga., Idaho, Iowa, Kan., La., Md., Minn., Mo., Neb., N.J., N.M., N.C., Okla., S.C., Texas, Wash., W.Va., Wis.
Ala., Ariz, Del., Fla., Miss., Nev., Tenn., Wyo. http://www.booksamillion.com/p/Reverse-Guilty-Plea/MR-William-Trest-Jr/9781490347370 Books-A-Million is carrying this title. This is a good little book. Read it. America has the largest prison population in the world. Over 90% of convictions are based on plea bargains. Meredith Etc awarded William Trest Jr., author of “Reverse Guilty Plea,” the “Most Public Library Sales,” in 2014. Congressional Democrats introduced bills to restore felon voting rights which reflects the theme of my book ‘Reverse Guilty Plea.’ Everyone who has been convicted of a felony deserves the chance to participate in the electoral process. “Reverse Guilty Plea” is a reflection of the culture of the south and the mindset of its citizens and residents in terms of the Justice System which is typical of southern discrimination and injustice in mind of the people and places to be listed as inferior. When Charles Wilson went to the court he was treated as a non-human and clearly deserved equal justice. The story is fiction but its not. Some portions are historical and true. My novella is a warning of the pitfalls of the judicial system and how easy it is to get trapped in it if you are poor. The plea bargain agreement only encourages people to continue committing crimes. It is almost impossible to obtain employment after having been convicted of a felony. When people can’t find employment they turn to illegal means to earn a living. There needs to be rehabilitation for ex-cons and the opportunity to work without being excluded from society. We are producing a nation of habitual criminals and the judicial system is fostering it. Excluding people from society is unfair because exclusion stripes Americans of their citizenship rights. You can’t pursue happiness and be broke in this society.